The movie Groundhog Day depicts the life of a man, played by actor Bill Murray, who wakes up to re- experience the same day over and over again. At first, he's frustrated that every day he wakes up and has exactly the same experiences at exactly the same time. Eventually, however, he perfects this day, learning lessons from his experiences that enable him to move forward to a new day. At the conclusion of the movie, Bill Murray's character is more than grateful for the information he gained as he worked to move on to a new day. Letting go of aspects of ourselves requires us to expand our awareness and learn something new. When we don't learn our lessons, we (and our families) live in our own versions of Groundhog Day. If the formula for change is so easy--learn the lesson--then why is it so hard to change? Why aren't we running around begging for information, willing to discover more about ourselves, and willing to look deep within our consciousness so that we can create something new? Why do most of us live in our own version of an old television rerun and never seem to escape the same episode? The primary reason may be that change is almost never comfortable. Changing means leaving our emotionally safe spaces, healing our fears, and releasing pain (which is often our greatest fear). Searching deep within or becoming conscious requires us to understand our fears, to look into the past, and to feel our pain. Carl Jung once said, "The growth of the mind is the widening of the range of consciousness, and . . . each step forward has been a most painful and laborious achievement." Katherine Black, author of Mothering without a Map, writes: "Examining our histories may well require a dive into dark waters, but seeing ourselves clearly . . . may be an essential step in becoming free of the past." Many times we know we need to change but we don't have any idea of what we need to change. Then we become afraid because we feel confused. As a result, we create resistance to change. When we don't change, we end up in a Groundhog Day scenario. The cycle of fear and resistance repeats itself. To break the cycle, we must have faith that pain is temporary and will pass. 4. Resisting the urge to control and replacing that tendency with trust--particularly in yourself. Copaiba Essential Oil is derived from the resin of the copaiba trees found in South America. It helps support the cardiovascular, immune, digestive, and respiratory systems and is a powerful antioxidant. It also promotes clear, smooth skin and has been known to reduce the appearance of blemishes. Copaiba oil has a light, sweet aroma that many people find reminiscent of warm honey. When inhaled, its wonderful fragrance can help to calm any feelings of stress and anxiety. 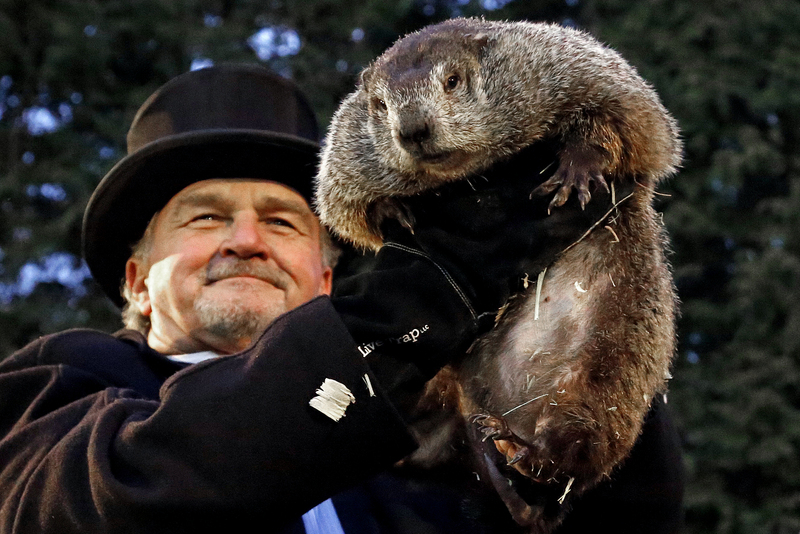 For this week's homework, vow to learn the lessons necessary for you to break free of your Groundhog Day scenarios. My FREE 5-Step online course walks you through simple answers and usable tips that are life-changing and will make a meaningful difference in your mood, mind, and overall happiness! We'll send you an email with access to the course!